Up next for my comparison by brand study, Butter London All Hail the Queen, formerly called All Hail McQueen. This is a taupe, goes on like glass but in the right light it looks like a bed of diamond dust. So, so pretty. This goes on great, the formula is perfect, no streaking, no dragging. I applied the same as I have the other polishes in my review. (complete details in prior posts) Although, I did go pretty heavy on the tips of this one, on the first coat. I could see the writing on the wall and I did not want the dreaded VNL. Still in certain light, certain angles there is a little bit of VNL. I don’t think I’m going to be able to capture the beauty of this polish on film. When the light hits it just right it looks like a bed of diamond dust covered in glass. This polish is as smooth as glass. This shows the micro shimmers better. 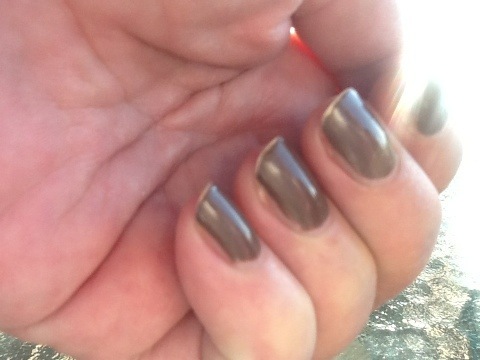 Although a tad darker, this is very much like Yummy Mummy, but with the micro-shimmer. These 2 would be a great combination for a subtle half & half manicure. You know how I like my half & half manicures! OPI’s Wooden Shoes Like to Know is about to be history. I applied this Tuesday evening, it is now Thursday evening. As you can see there is considerable wear on the tips. Not really chipping but wear. This appeared within 12 hours of application. I thought it was because I hadn’t ‘wrapped’ the tips so I wasn’t going to hold that against the polish. But after 2 full days the wear has increased to the point that I have to take it off. As you know I am working on a proper review and comparison of the brands of polish I use. 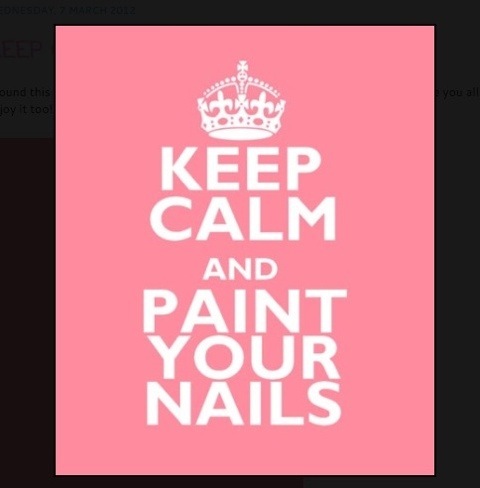 I am going to paint my nails the same with all the polishes, use the same top coat and that way I should have somewhat of a controlled outcome. Also, I said in an earlier post, if this was in the real world I would just paint a quick patch coat over the tips, probably wrap them and get on with it. But, because of my review I am moving on to the next brand. What will it be? 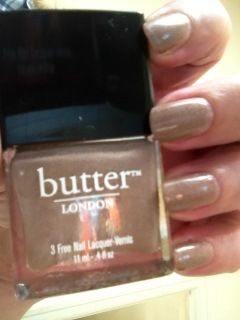 I don’t know but I’m thinking it just might be Butter London’s turn. Check back to see which company I use next. 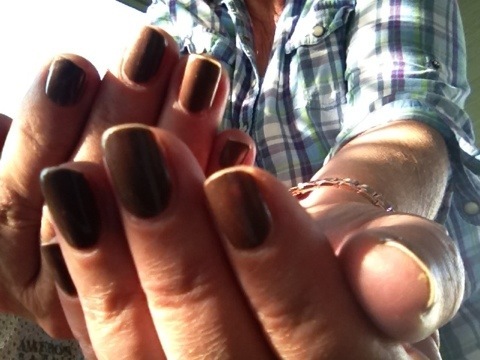 This is from the new Holland collection by OPI. Yes, this is a new polish but I bought it before Lent began, along with several others. Kinda like a ‘last supper’ if you will. I will post other swatches from this new collection as I do them. This polish goes on exactly as it looks in the bottle, which is always nice. Although I must tell you, this is with 3 coats. Normally I do 2 coats, not always a top coat, but this one still showed the tips of my nails with only 2 coats so I added a 3rd coat because I do not like that. 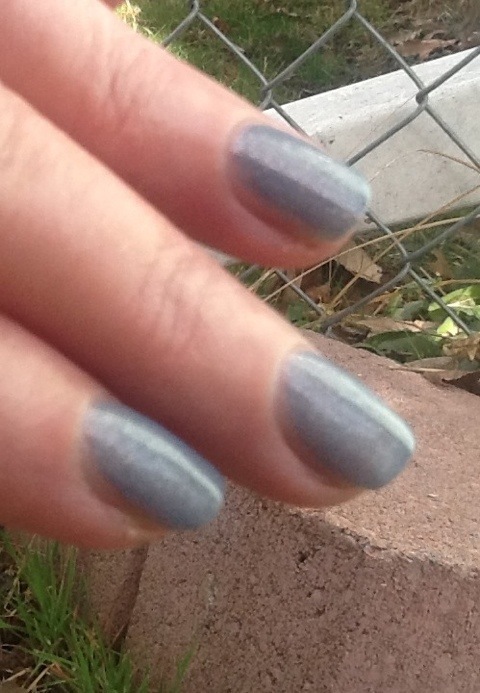 I also have on a top coat of Seche Vite fast drying topcoat as I don’t have all day for my nails to dry. Thanks so much for stopping by…. Let me know what you think ….